This Friday is First Friday Date Night from 5:30 p.m. to 8:00 p.m. on West Main Street in Downtown Statesboro. Come out for an evening of shopping, dining, and fun. It is the perfect night out do you and your special someone or just a night to spend with friends. 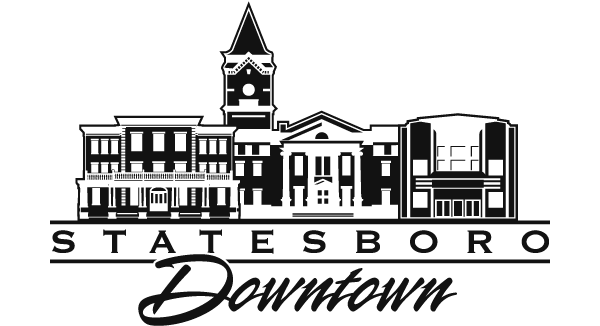 There is so much to do on a date in Statesboro and this event will show you all that the area has to offer! Come and try delicious foods from a variety of different cuisines. Gee-Da’s will be open for sit-down dining and other food vendors will be set up in food trucks and tents. Metter meats will have their famous homestyle pork sausage and chicken bacon wraps. Try burritos with a Caribbean twist at the Brunner’s Burritos food truck. Looking for something sweet to share? Big Boy Cookies and A&J Funnel Cakes will offer tasty treats. Find out more about how to get your adrenaline pumping and take a dive out of a plane at 120 m.p.h. with The Jumping Place. If you are looking for a fun but more relaxing date check out The Clubhouse for bowling, go-karts, and Laser Tag. Try your best to solve a series of riddles and challenges to escape at Statesboro Unlocked escape room. See who has the best shot at Georgia Southern Shooting Sports Education Center. There will be live music from jazz performer Brandi Womack Harvey and guitarist, Brian Conley. Bring your blankets snuggle up with your significant other and watch a free outdoor movie brought to you by Party Harbor and The Statesboro Herald and buy some fresh kettle corn from Corks. The movie of the night is The Princess Bride. Mark your calendars for an evening of food, music, and fun. This event is the perfect night out that you will not want to miss!